Find the best home deals for sale in Philadelphia, PA, right now on Foreclosure.com at drastically reduced prices. 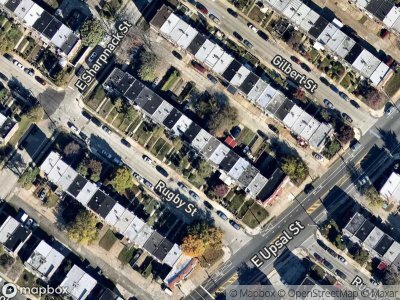 We currently have 1 of the best real estate bargains in Philadelphia, PA, in ”as-is, where-is" condition. These are discounted opportunities to buy a house in Philadelphia, PA for much less than current market value. As with any potential fixer upper in Philadelphia, PA you may (but not always) need to use some of the money you save at closing to make a few repairs and/or home renovations. William Penn, an English Quaker, founded the city in 1682 to serve as capital of the Pennsylvania Colony. Philadelphia played an instrumental role in the American Revolution as a meeting place for the Founding Fathers of the United States, who signed the Declaration of Independence in 1776 at the Second Continental Congress, and the Constitution at the Philadelphia Convention of 1787. Several other key events occurred in Philadelphia during the Revolutionary War including the First Continental Congress, the preservation of the Liberty Bell, the Battle of Germantown, and the Siege of Fort Mifflin. Philadelphia remained the nation's largest city until being overtaken by New York City in 1790; the city was also one of the nation's capitals during the revolution, serving as temporary U.S. capital while Washington, D.C. was under construction. In the 19th century, Philadelphia became a major industrial center and a railroad hub. The city grew from an influx of European immigrants, most of whom came from Ireland, Italy and Germany—the three largest reported ancestry groups in the city as of 2015. In the early 20th century, Philadelphia became a prime destination for African Americans during the Great Migration after the Civil War, as well as Puerto Ricans. There are currently 1 red-hot tax lien listings in Philadelphia, PA.